The scientific studies prove that Medical Resonance Therapy Music® has a beneficial effect on the synchronisation of the brain and the change in biochemical, hormonal and immunological levels. Here the invention of Dynamic Space Stereophony also plays a particular role in the area of health education. was, until his retirement in 1997, head of the Department of Pediatrics at the University of Magdeburg and of the University Children's Hospital. „So here too, if the cited customary music recordings are used for music medicine, the process of natural evolution is turned upside down. Department of Endocrinology of Reproduction and Adaptation, Kiev, Ukraine. 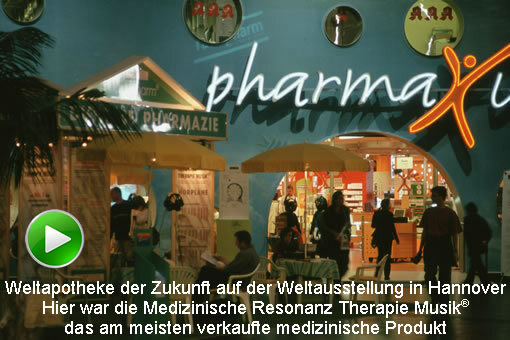 „Medical Resonance Therapy Music® is not music in the usual sense, and is therefore not used for entertainment, but purely for medical purposes. Leading stress expert of our time and official successor of Prof. Dr. Hans Selye – the founder of the stress research (who also shaped the term “STRESS” – today used all over the world)	„The international audience was most impressed with the paper on Medical Resonance Therapy Music® presented in Moscow two weeks ago, at the World Health Organization (WHO) conference ‘Society, Stress and Health’.